This sub-committee is home to the WI Advisers in the Federation. In common with members of all committees, WI Advisers are volunteers who enjoy putting something back into an organisation from which they have received so much. Unlike the other sub-committees, our members are not elected. Observers, interested to discover more about the way WI functions, are always welcome. We meet 8 times a year, usually on a Tuesday at the Federation's Office. WI Advisers, trained by the National Federation, are there to help the WIs. Each WI Adviser is attached to a number of districts; she attends district and WI events when invited, organises committee and officer training if requested, and holds information meetings for new members. She keeps a watchful eye on her WIs and is there as a listening ear when needed. 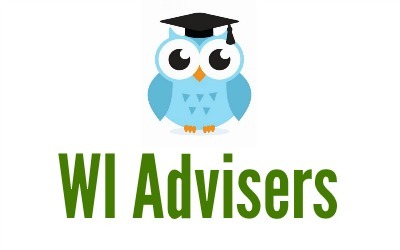 We are actively looking for members who would like to train as new WI Advisers. If you are interested or know someone who might be, please come along to one of our meetings at Ethel Hunt Lodge as an observer. You can contact Jean Gibbins (WI Adviser Chairman), any of the WI Advisers or the Federation Office if you would like further information. As you prepare for your Annual Meetings don't forget to book two Tellers for the meeting. If you are anticipating any problems appointing Officers or Committee members for the coming year please contact your Adviser. It is a busy meeting with reports, elections and resolutions and a great opportunity to get members involved and having fun without a speaker. As a lasting legacy of the Federation's centenary the Trustees and WI Advisers aim to maintain a stronger link with all of our WIs as our members are very important to us. To this end we are introducing a four year rolling programme so that we can ensure that we will make a social visit to each of our WIs at least once in every four years. This will not replace WIs requesting an Adviser to visit for Annual Meetings or for any other form of support that is available to our members from WI Advisers. We appreciate that many WIs are not able, for a variety of reasons, to take full advantage of the wide range of events and activities that the Federation provides for members where they can meet with Trustees and Advisers.